Ever on the lookout for sound reasoning to support my book-buying habit, I just finished reading The Chosen Few: How Education Shaped Jewish History. If you’re expecting a casual read, this book gets a bit academically verbose at times, but stays sufficiently action-packed so as not to get boring. The central theme of the book revolves around the Jewish religious mandate that children be educated in reading and study of the Torah (i.e., the Jewish Bible), and how that this education, which was not required in other religious or cultural societies, led the Jewish people toward high literacy in general. This, in turn, made them fit for the most profitable occupations wherever they lived. Running parallel with that main theme, the authors make the case that, while high literacy may be of spiritual value anywhere, it is only of financial value in developed, urban areas. Highly literate people may be well suited to work as bankers, physicians, and engineers, but if the only industry available as far as the eye can see is farming, then there’s not a lot of opportunity to engage in such high-paying work. So Jewish people have, historically, sought to live in highly populated areas where they could make the most use of their literate professions. But not only have they sought out highly populated areas, they have sought out highly populated areas that were not already saturated with other (typically Jewish) people doing the same work. A city might have need for ten bankers, say, but perhaps not a hundred. This, the authors contend, played a significant role in Jewish people migrating to numerous disparate areas, rather than all sticking together in the same place. But while they may not have all lived in the same cities, they remained connected. This, the authors explain, has been another factor in Jewish financial success over the years: they frequently networked with each other, meeting in person from time to time, but mainly through writing letters. They shared details about what goods were in most demand in a region, so that traveling Jewish merchants could be equipped to sell what people were most likely to buy. They also maintained close connections with their spiritual leaders, those responsible for interpreting the Torah and Jewish traditions and offering guidance on how to conduct one’s life and business. Money lent on interest is profitable, because the pledge remains in the hand of the creditor, and the principal increases without effort or expense. The work of being a merchant, or a craftsman, or a physician, or an engineer, required regular time and effort put into the job. The work of lending money involved filling out paperwork and keeping good records, but mostly doing nothing at all while payments came in. In the time period that the book covers, there was a fairly sharp contrast between people who were “literate” and people who were “illiterate”, with the illiterate people being literally illiterate. In the final chapter, the authors hint at what will come in a future volume covering the years from 1492 through today, suggesting that while society as a whole has become more literate, Jewish people have persisted in seeking to be maximally literate; i.e., pursuing higher education and the most lucrative occupations intentionally. But there are also some open problems for how we might apply the principles described in the book today. Some professions, such as physicians, will always be local to specific physical communities, but the world is increasingly flat. Local merchants are up against online retailers. Much professional work can be done entirely on computers, opening the door for the work to be done not by merely the best professionals in the city, but by the best professionals on the planet. (Or, alternately, the least expensive professionals on the planet…) The notion of being the best, most literate professional in a city, catering specifically to the people of that city, might not carry as much weight when candidates to do the job can be selected from any city at all. On the other hand, the advantage of lending money as a business, namely that “the principal increases without effort or expense,” can be applied to many more fields today, by way of creating and selling digital products. Literate experts in any field can make books and software applications and multimedia products, which can be sold many times over without incurring any significant effort or expense beyond the initial production. 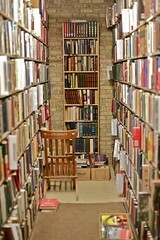 Over some of the time span covered, the cost of buying a book was routinely 2-4 times that of a typical monthly salary. This made education an especially costly activity! Even around the first century, the Hebrew language was not heavily used by the Jewish people. As is common (at least in the United States) today, it was mainly used for reading and studying the Torah, and not so much for everyday writing and talking. I found this book enjoyable and thought-provoking, and am looking forward to the sequel. I read a paperback edition, but the book is mostly plain text, with a few charts and maps, and would probably render well in Kindle format also.